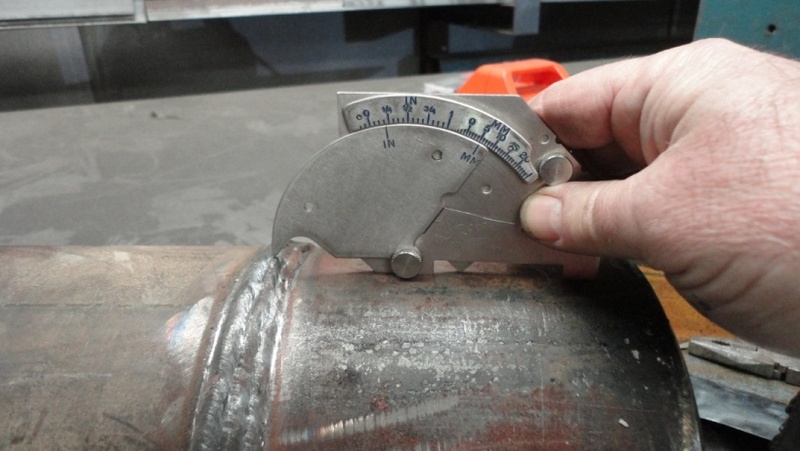 DMany characteristics of a weld can be evaluated during welding inspection - some relating to weld size, and others relating to the presence of weld discontinuities. The size of a weld can be extremely important, as it often relates directly to the weld's strength and performance. For instance, undersized welds may not withstand stresses applied during service. Depending on their size and/or location, weld discontinuities (imperfections within or adjacent to the weld) can prevent the weld from meeting its intended performance. Weld discontinuities are often referred to as welding defects, and they can sometimes cause premature weld failure due to a reduction of strength or added stress concentrations within the welded component..
Welding inspection requires a wide variety of knowledge on the part of the inspector, including an understanding of welding drawings, symbols, and procedures; weld joint design; code and standard requirements; and inspection and testing techniques. For this reason, many welding codes and standards require that the welding inspector be formally qualified. There are several welding inspection training courses and certification programs available. The most popular program used in the US is the Certified Welding Inspector (CWI) program, and it's administered by the American Welding Society (AWS). Certification as a welding inspector typically requires that you demonstrate your knowledge through a welding inspection exam. 2.Radiographic and ultrasonic weld inspection. Welding Inspection facilities at UIC, Jubail, KSA. 1. Experienced welding inspector for carry out difficult configuration of welds.